Need some great options for your next corporate function in Melbourne? Gobananas has a wide range of activities to do for your corporate events. Indoor or outdoor, day or night, we've got something for everyone. Check out our options below and then let us do all the hard work - leaving you to have all the fun! Simply put - we know all the best places that Melbourne has to offer, the top attractions and activities for day or night time events, the hottest bars and the coolest venues where your group can have the best time ever. We deal with only the best suppliers and venues in the city to ensure that our clients will always get consistant and quality service, all packaged together in out user friendly online itinerary - easy to keep track of your parties progress and share with your group. 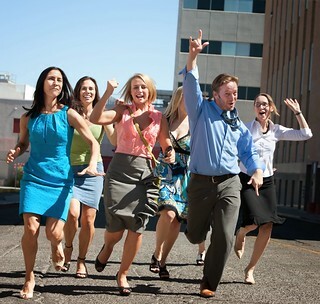 Any good employer knows that happy and content staff means a positive and productive work place. We all get a little run down every now and then and when this happens it can be hard to keep yourself motivated at work – but with a bit of an extra positive push from the bosses you can be back on track in no time. Now of course this positive reinforcement starts in the office but a sure-fire way to give everyone a boost is to have staff day or night out. This is a great way to get your staff mingling and forming friendships outside of the office, causing a more relaxed and friendly atmosphere in the work place. 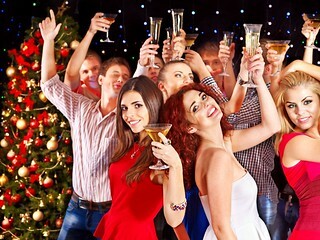 Let’s face it people act differently when they are at work, but on a good night out, you do get to know each other a bit better and create a bond that will hopefully improve productivity in the work place in Melbourne. So whether you’re planning a team building day or an Xmas function in Melbourne – GoBananas has the activities and venues that are sure to help you on your way to a happier and more productive work place. 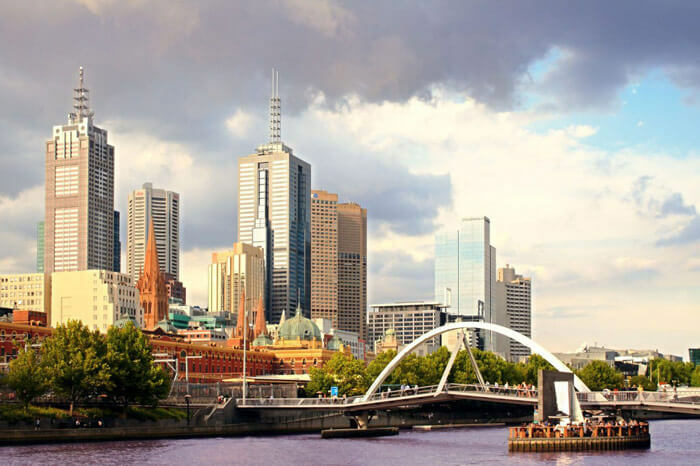 Melbourne has some of the most stunning cruising locations in Australia and a sure way to have some fun is to take a nice boat cruise for your next corporate do. Sail down the Yarra River and take in the city lights or sail in the sunshine out of sparkling Docklands. No matter where you choose your corporate party cruise to take place - you will all have a wonderful time, having a few laughs with each other, a few drinks, a bite to eat and taking in some of that epic Melbourne scenery as you go. If you are looking for a way to relax and get to know your work mates a bit better, then this is what you need. Ah wine... what better way to relax and have a great time. Yarra Valley is one of the most lovely and picturesque locations in Melbourne. This is wine country here and is home to a number of lovely wineries where you can take in a nice tour and learn how wine is made, have a delicious meal and of course get to sample glass after glass of wine…… which let’s face it as cool as the other stuff is, getting to taste wine is the real reason you go on a Melbourne wine tour! If you are looking for something that is a little bit more laid back then we think this would be a big hit with your group. A great way to enjoy a few drinks before your Christmas party in the evening or to treat your employees to a well deserved staff day out in Melbourne. Cooking classes?? We can hear a few of you saying, but do not look at this as a way of actually learning how to cook (although we are sure you will pick up a few tips here and there) but think of this as a way just to have a lot of laughs for your corporate funtion in Melbourne. When people are having a good time, laughing and enjoying themselves they are way more likely to lower their personal barriers and let you in a bit more. 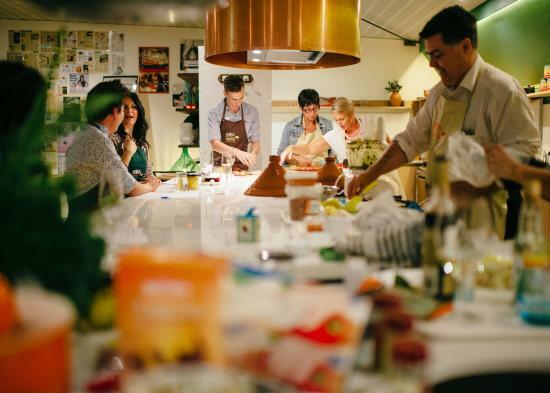 So a Melbourne cooking class is great way to have some laughs with each other than by making and tasting each other’s……. What we are sure will be amazing, food! Just pray that the people who are horrible cooks do not bring in what they made to the lunch room on Monday morning. • Our interactive online itinerary is user friendly and acts as your main port for keeping up to date with your ideas and planning progress. • We have a wide range of options to suit most groups sizes and budgets and can even create bespoke packages to you. • We work with only the best suppliers and venues in Melbourne ensuring that our clients are getting top quality activities. • Your own personal event planner who will manage your booking and be up to date on your booking so no talking to a different person every time you call and having to re-explain things. • We’ll deal with all communication with the venues and suppliers in regards to timings, dates, payments etc. – you won’t have to call around numerous places to check availability or get quotes, we do it all for you. • We’re your one stop shop and can organise transport to and from activities keeping all your booking requirements in one easy place. These are just a few of the reasons that make organising your Corporate function in Melbourne with GoBananas so simple, we want you and your group to have any amazing experience and that’s what counts!